Kogeloog, a catering outlet that stands opposite Langnek in the Fairy Tale Forest, is finally reopening after 17 years of being closed. Ice cream and a variety of drinks will be on the menu from the end of April through September, and there will be new seating available, as well as the benches that already face Langnek. even able to chase away a wasp’. This indicates that he doesn’t have his special power anymore, in contrast to Langnek, but doesn’t explain why…This might be a reason that it was removed, especially since the new bust has a blindfold over his eyes, to stop him from causing any damage! Whilst looking through old photos of Efteling, you can really see how things have changed, even if it is just small changes. Check out Mr Long Neck from 20 years ago! He looks quite bleached, and is definitely being taken over by nature. 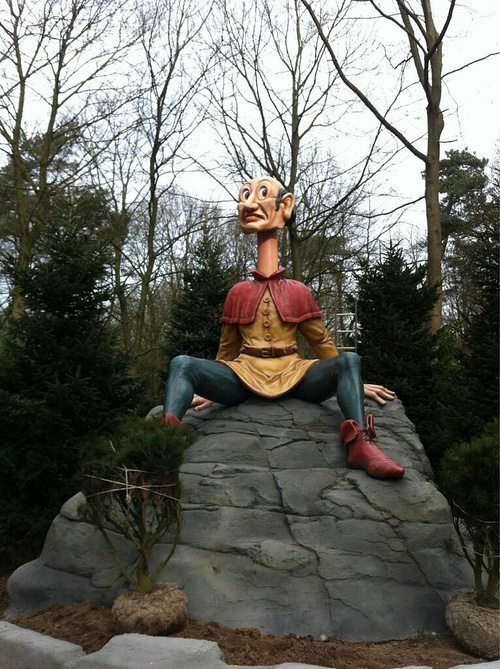 The most recent picture is from the last Winter Efteling. There’s a bit of a difference! We’ll admit it, we’re suckers for souvenirs, but only if they’re really nice souvenirs! 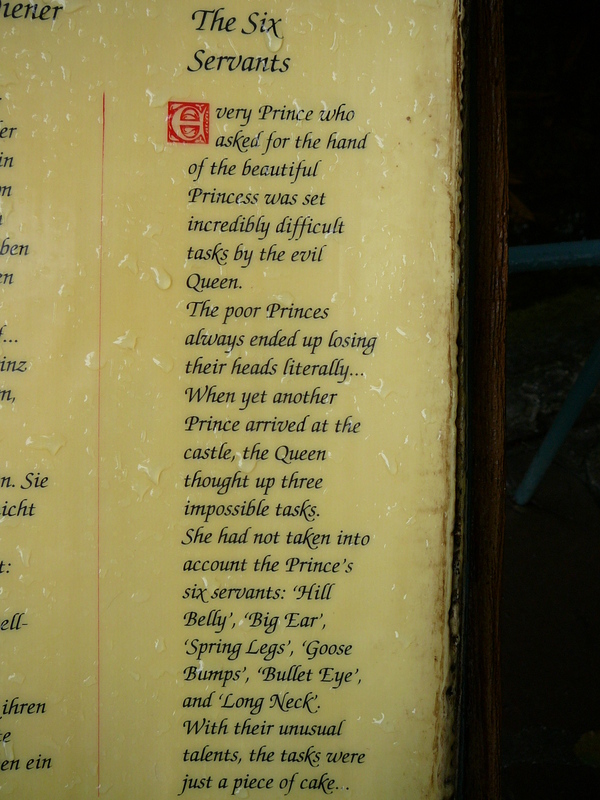 We posted recently about Efteling’s web shop no longer delivering to the UK, which made us a little sad. However, it seems that the online store has reduced its range of stock massively. The ‘new’ section has items from quite a while ago, and its slim pickings unless you’re after crockery, Sprookjesbos items or Jokie paraphernalia. Two lovely photos were left on our Facebook wall by Mark van der Horst yesterday. ‘After 18:00 hours, everything except the restaurants and Aquanura closes or shuts down. 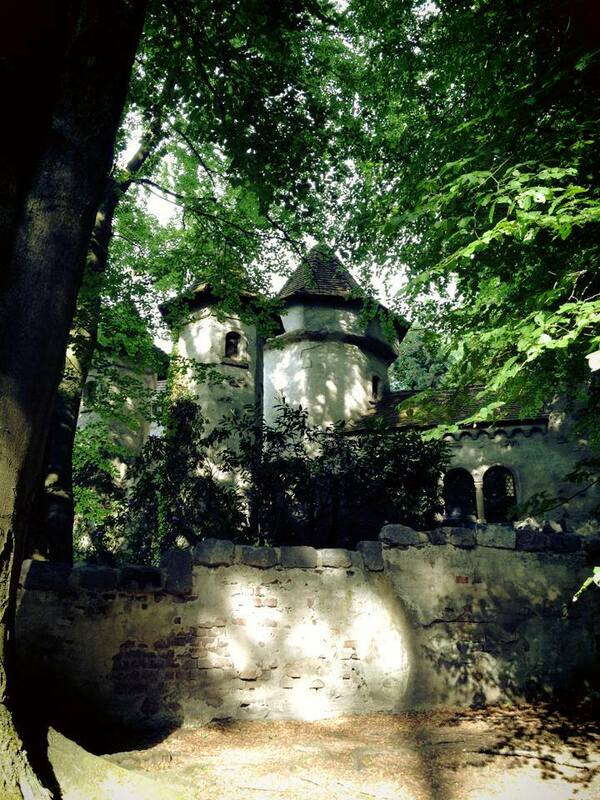 But that’s exactly when we love to walk through the Fairy tale Forest. Of course we also love it throughout the normal opening hours, but after that it’s so tranquil and peaceful. For those of you who are not familiar with Madurodam, it is a very popular tourist attraction located in Scheveningen, the Hague. It opened only a couple of months after Efteling in 1952, and is home to miniature versions of famous Dutch buildings and locations. 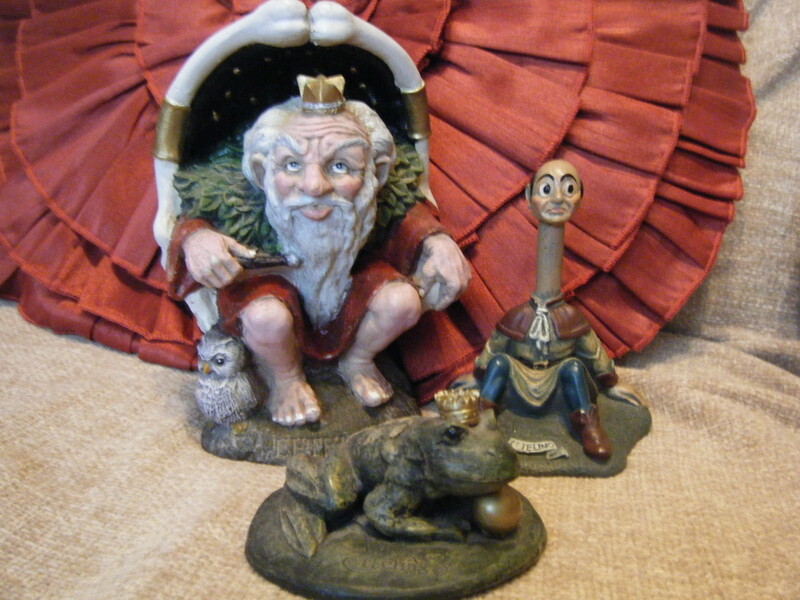 Of course, such a project would not be complete without a representation of Efteling, and since 2002, Langnek and Holle Bolle Gijs have been represented at Madurodam, with Langnek standing at 30cm tall. We’re not sure if it’s just us, but did is neck always go half way down and then back up? Either way, he looks a whole lot better. 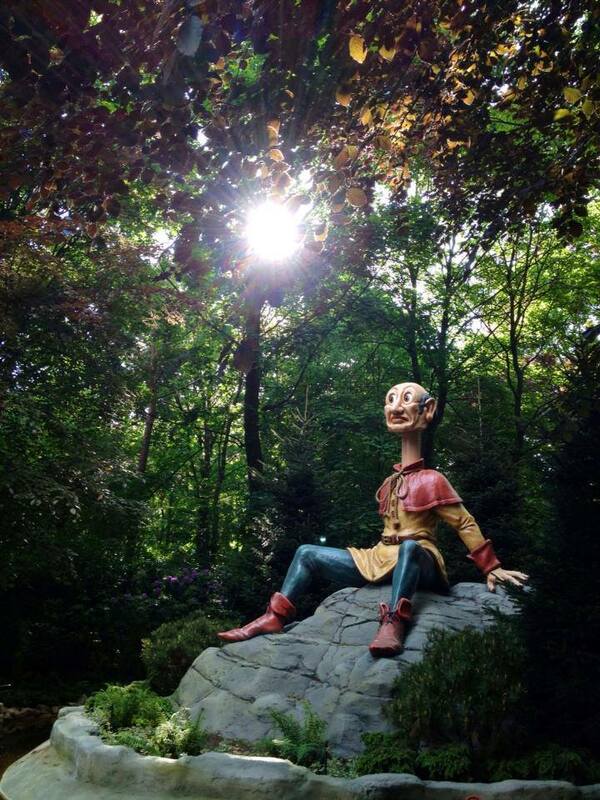 It was only yesterday that we said he’d be back at the end of April (well, Efteling said that) but he turned up today! Can’t say yet as to whether his eyes are working or not but we would imagine that that would have been dealt with. He is also a lot more colourful than he was before, and looks like he may be sitting a bit higher on that rock! Apparently, the Efteling Theatre’s next big musical is to be based on the Sandman, (Bosrijk’s mascot) and it will start playing in Autumn. That is about all is known on the subject at the moment. Where did the asparagus go to have a few drinks? In other news, Langnek’s little island is taking shape, with a new rock base being installed for him to sit on. We still miss him and hope that he comes back soon, as does everyone else, it seems. 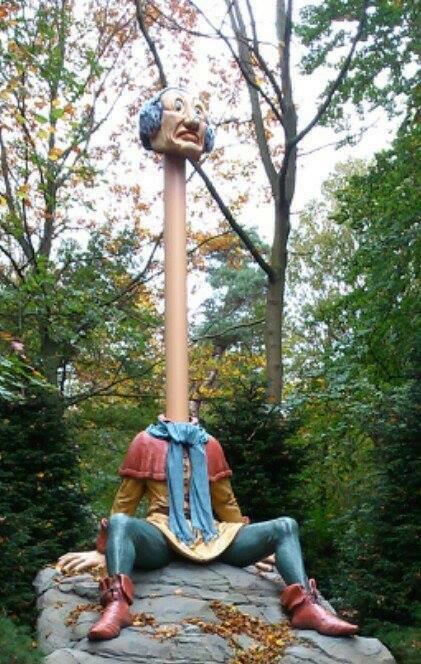 Somebody asked Efteling via Twitter about Mr. Longneck’s return, and they said some time in late April he should be back. Also, according to Eftelist.nl, Fata Morgana is not in the best shape. We already knew about the snakes that need some cosmetic surgery so that you don’t have to look at their zips, but apparently somebody is missing a limb, (we’re trusting the translation for that one, but haven’t seen actual evidence!) there are stains in the night sky, the fog machines are leaking, (we knew about this one, we’ve felt the drips!) and there’s something not quite right with those crocodiles. All in all, it needs a bit of TLC. 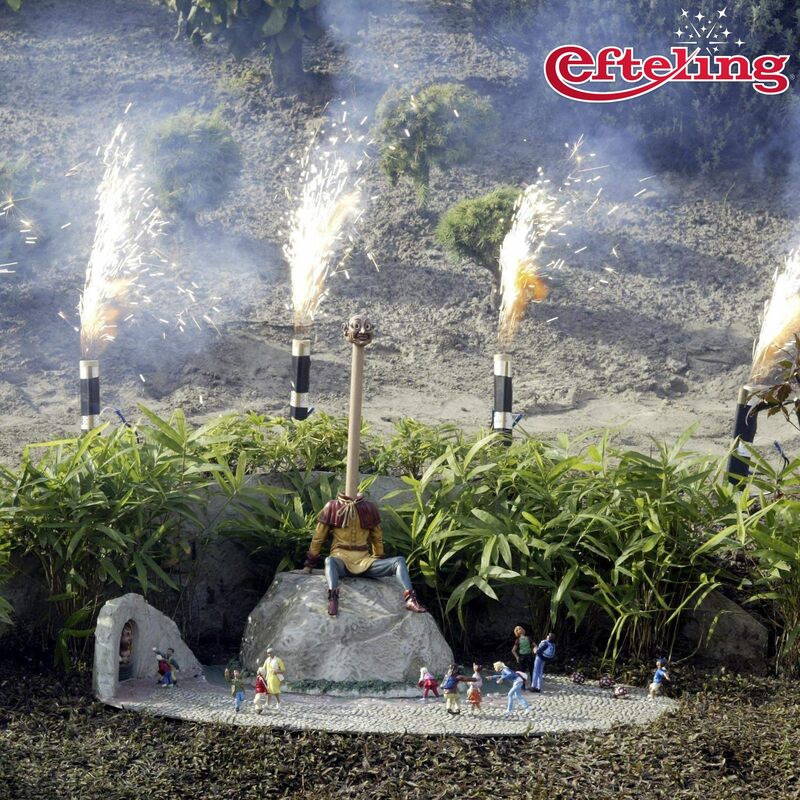 Efteling has won 6 Diamond Theme Park Awards, including Best Amusement Park, Most Child Friendly Park and Most Beautiful Park. Click here for full results! As it is Sunday, the day of rest, here is a very short story to help you pass some time, enjoy! Thank you for reading, keep sharing and subscribing!